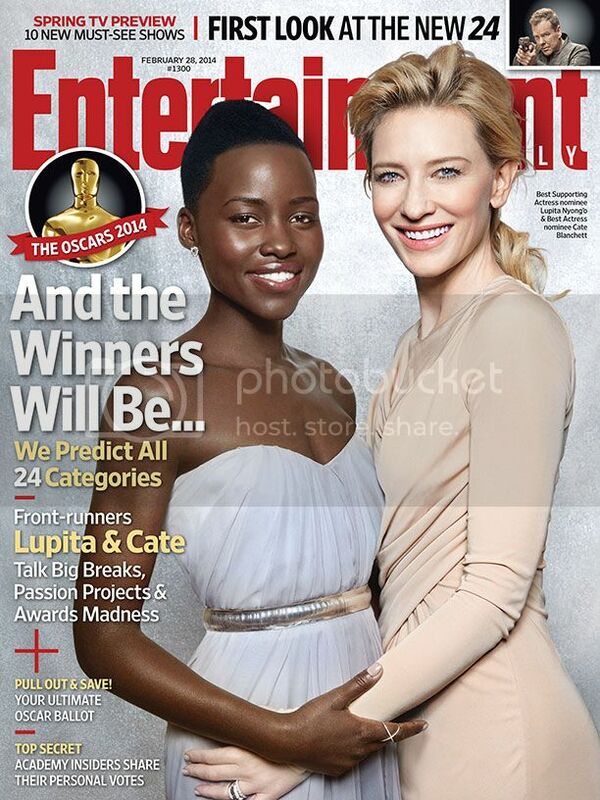 Lupita Nyong'o graces this week's issue of Entertainment Weekly along with fellow Oscar-nominee Cate Blanchett. In the interview, Lupita discusses her emerging influence in pop culture. "I feel very fortunate to be in this position, and I know that it means more to people because I am an African and I am dark-skinned," she says. "In many ways me being on the scene is doing for little girls everywhere what Oprah Winfrey and Whoopi Goldberg did for me...My world exploded by them being on screen. Hopefully I will inspire and be meaningful to other people." Though some have exposed Lupita of being overexposed in the days leading up to the Oscars, every moment we spend celebrating her contributes to the world being a safer space for little Black girls. Girls are inundated from all angles with standards of beauty that they will never be able to meet. Having a model as beautiful and charming as she is can only be a great thing.